LONDON — Sam Allardyce dropped midfielder Ross Barkley on Sunday and called up uncapped winger Michail Antonio for his first England squad since taking charge after the team's disappointing European Championship campaign. There were five changes from the 23-man squad that went to France for Euro 2016, with Luke Shaw, Phil Jagielka, Danny Drinkwater and Theo Walcott all returning for the Sept. 4 game against Slovakia in 2018 World Cup qualifying. Barkley was overlooked despite scoring twice in his first four matches for Everton this season. Antonio has scored twice in West Ham's first three Premier League games of the season. Manchester United striker Marcus Rashford drops down to the under-21s and Wayne Rooney was named among the midfielders. Joe Hart remains, despite losing his place as first-choice goalkeeper at Manchester City. No captain has been named. 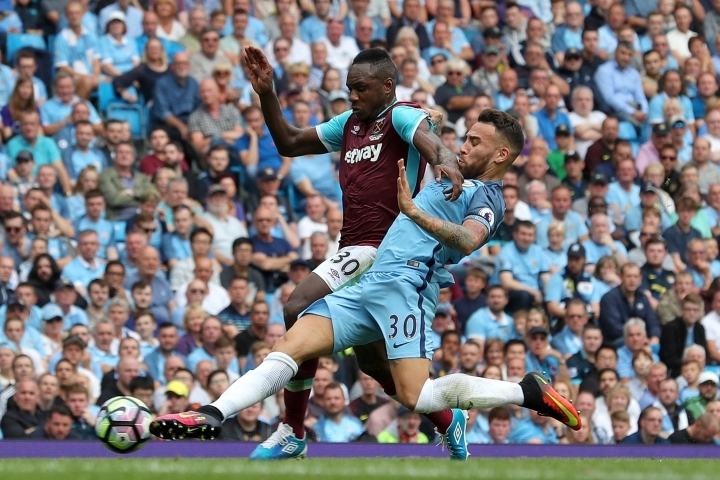 Antonio only found out he had been called up after coming off the field at the Etihad Stadium earlier on Sunday, having scored in West Ham's 3-1 defeat by Manchester City in the Premier League. "I'm overwhelmed. I got slightly emotional when I found out," Antonio told West Ham TV, adding that he had rejected Jamaica earlier this year in a bid to keep his England ambitions alive. "It's just one of those things that I've always dreamt of, playing for England, as a kid, so now for it to happen after I've worked my way from non-league to where I am now, I am just so happy."